You may have seen my previous post here where I shared my thoughts on the Anatomical tooth brush and tooth paste. I have also been trying a few other of their products as I am falling in love with this brand. The scrub is gentle on your skin, sometimes scrubs can be a little too harsh but this one is just right. It smells pretty damn good too. Saving the best til last.. the headache relief balm. I suffer with migraines and have done pretty much my whole life and I had been using some sort of cooling muscle gel that was helping but now my go to (as well as ibuprofen!) is this relief balm. It has peppermint and lavender in which are both known as great oils to apply to your temples if you have a headache. The smell reminds me of deep heat but I really like it and find it soothing and calming. A big thumbs up from me and I will be putting this in my handbag for when I next get a headache/migraine! Next Article Who remembers the Nokia 3310?! The headache relief balm sounds amazing, especially because I get chronic migraines! I’ve used an Anatomicals shower cream before and really loved it! Ooo that scrub sounds lovely! I neeeeeeed that headache relief balm! I’ve always heard good things about this brand – definitely need to give them a try! That headache relief balm sounds so good! I love their stuff and anything citrus! The headache relief balm sounds amazing and I suffer with migraines all the time!! I love body scrubs! And I would love something natural to help clear up my headaches during my pregnancy! I need to try that headache relief balm! I like the sound of the scrub, as I like to feel like it’s doing something haha. I will keep an eye for these range of products. The headache relief balm sounds really good, my best friend suffers quite bad with headaches so this could be a good potential Christmas gift for her! Thanks for sharing! 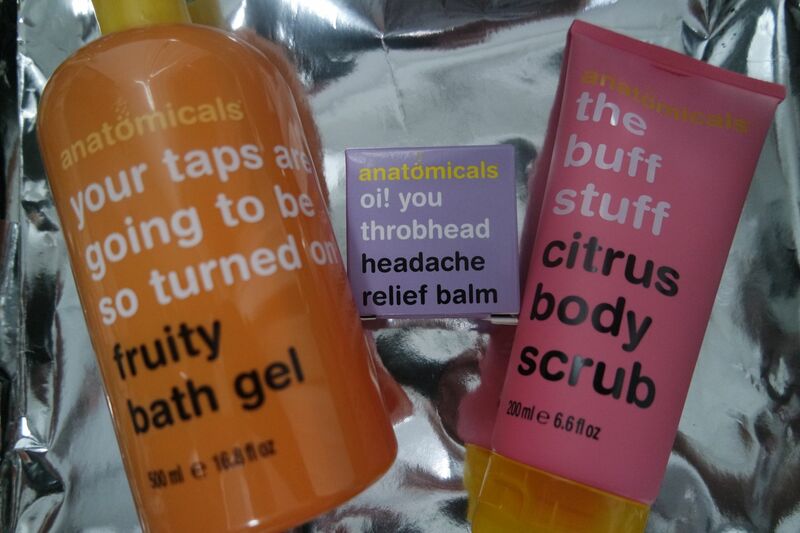 i love anatomicals, the headache relief balm i deffo need to try! Ive started to have really bad PMT migraines and really gonna try that relief thank you! Oohh they sound lovely. I really want to try the brand.